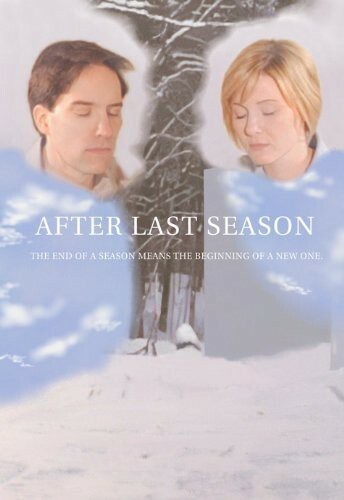 “After Last Season” DVD cover art. 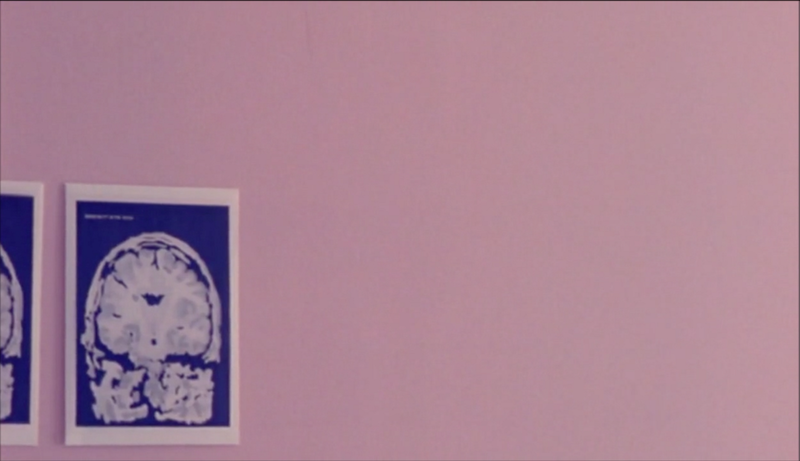 After Last Season exists in the subconscious of the internet mostly as “that trailer with the cardboard MRI machine.” Even among the most diehard fans of weird cinema, it is something that may have made a momentary blip on their radar if they have even heard of it at all. Given how difficult it has been to see the film since its 2009 theatrical release — and how strange the film is — this is not surprising. But the whole phenomenon of After Last Season is much more compelling than that of just another low-budget film that briefly gained the attention of some of those midnight movie fans who made a cult hit out of The Room. The film and the circumstances of its production and release are still something of an unsolved mystery, despite the best efforts of some dedicated fans. In a world where virtually no question about even the most obscure film can go unanswered for long, the enigma of After Last Season and its writer/director Mark Region is even more fascinating. In March 2009, the trailer for After Last Season appeared on Apple’s trailer site. The first stories about it appeared around the middle of the month, with the first being a post on Videogum by Lindsay Robertson. Soon other sites followed suit, posting bewildered stories and speculation about the film leading up to its release date. Rumors circulated that the trailer was part of a viral marketing campaign for the release of Spike Jonze’s adaptation of Where the Wild Things Are. Curious parties on the community weblog Metafilter did some digging for more concrete information regarding the film, which led to the discovery of a notice that After Last Season had wrapped shooting in February or March of 2008 in New England. Writer Jamie Hale managed to obtain a brief interview with writer/director Mark Region, but it did little to clarify the nature of the project. However, the discovery that Mark Region had directed a short entitled “Medium Waves” that played the New York International Independent Film & Video Festival in 2005 seemed to confirm that the viral marketing theory was incorrect. A review of After Last Season written by Elaine Hegwood Bowen appeared on Film Monthly on 13 April 2009, but no other reviews of the film were published in advance of its theatrical release. This fact sparked some theories that Bowen and Film Monthly were possibly part of the “hoax,” although the site had been online for some time and Bowen was a regular contributor. In any case, it was unlikely anything other than seeing the film first-hand would satisfy the curiosity of anyone who had become obsessed with it. 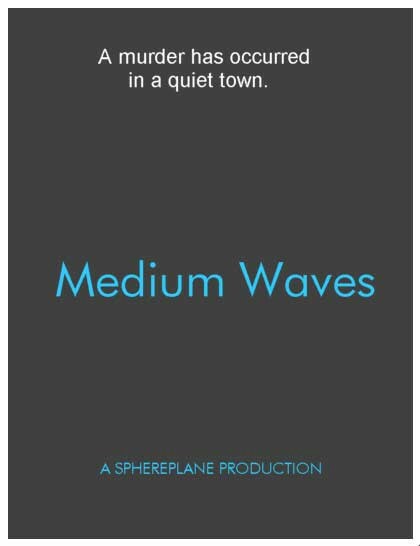 Art for “Medium Waves” from the New York International Independent Film & Video Festival site. On 5 June 2009, After Last Season opened for a one-week run in four Cinemark theaters across the United States: California (Lancaster), Illinois (North Aurora), New York (Rochester) and Texas (Austin). Viewers who had followed the discussion about the film online were amazed to discover that it was in fact exactly the experience promised by its inexplicable trailer. A few reviews appeared during the theatrical run on various sites from curiosity seekers who were able to catch the film on the big screen. Rodney Perkins of Twitch reported that it was “so genuinely and startlingly bad that a movie cult will undoubtedly form around it.” David Lowery of Hammer to Nail went even further, explaining that after watching it he felt “no more convinced that it’s real than I did when I first watched (and watched and watched) the trailer after it surfaced online three months ago.” Filmmaker Magazine posted both a video review featuring several baffled viewers recorded immediately after a screening and an interview with writer/director Mark Region during the film’s limited theatrical run. In that interview, Region expressed hopes that the film would perform well enough to justify a wider release. Unfortunately that did not happen. After Last Season opened on Friday, 5 June 2009 and its final theatrical screenings were the following Thursday, 11 June 2009. Reports circulated that the 35mm prints struck for the film’s theatrical run were to be destroyed on the order of production company Index Square. Fans of the film were in a panic that After Last Season would be lost entirely, but lead actor Jason Kulas quelled concerns when he announced on Facebook that the film would be released on DVD on 30 September 2009. The DVD was sold by Index Square through Amazon, but after the initial run sold out it has been unavailable. Used copies were sold through third-party sellers on Amazon and may have appeared on Ebay, but as of this writing it appears to be impossible to legally obtain a copy of the film. Other than those copies of After Last Season out in the wild in the hands of its fans, it has virtually disappeared. If anything has been proven by film fandom on the internet, it’s that an audience exists for pretty much any movie ever made. So how is it that After Last Season has defied widespread cult recognition? The difficulty of seeing After Last Season is certainly a major reason why it has not become a cult curiosity like other “bad” films that have become midnight movie institutions. Word of mouth that a film is “bad” usually stokes interest among certain types of film fans. The kind of hyperbolic “worst movie ever” reactions some viewers have expressed regarding After Last Season can result in the kind of hype that sells out screenings of Troll 2 and raises nearly $50,000 for a restoration of Manos: The Hands of Fate. However, while there may be a demand for the film, director Mark Region and his production company Index Square do not seem interested in reissuing the DVD of the film and it has not made an appearance on any VOD platforms. Presumably those four 35mm prints of the film struck for its theatrical release are no longer in circulation and are likely not even in the hands of any private collectors (or at least no collectors willing to admit to owning one of the prints). There may be an audience out there that would love a chance to see After Last Season with other likeminded moviegoers, but the creators of the film do not seem to be concerned with meeting that demand. Text from the “Notes” page of the official “After Last Season” site as of 13 May 2015. Additionally, Index Square has been aggressive in dealing with any potential copyright infringement. Following the release of the DVD, comedy site The Spoony Experiment posted a “riff” for the film. They were hit with a request from Index Square to remove it soon thereafter, although it has since been made available through Rifftrax. They have also had other content related to the film removed from Youtube. It seems possible that Region is frustrated at the reception to After Last Season, and does not wish to contribute further to its reputation as a “bad” movie by allowing a wider audience access to it. Ironically, this response guarantees that After Last Season remains a “cult film” in the purest sense, one with an obsessive but limited group of fans that has grown organically out of the audience that has been able to see it. An image from one of the CGI animation sequences from “After Last Season.” DVD screenshot. However, it is arguable that even if After Last Season was widely available, it is simply too deeply strange to appeal to the same audiences who have made modern cult classics of such relatively accessible movies as Birdemic. There are numerous indicators of “bad” filmmaking that are immediately identifiable: unnatural acting, bad sound recording, awkward pauses between lines of dialogue, obviously cheap special effects, etc. A film like Birdemic or The Room has enough of these things to amuse some viewers without actively pushing them away. If someone stands around for a few beats longer than necessary after a line, the audience laughs because they identify with the awkwardness; they are not in the same room as the actors, but the feeling is there regardless. This feeling literally defines the overriding aesthetic approach of After Last Season. There are not occasional odd pauses between lines of dialogue and cuts: these happen constantly throughout the film. The dialogue is almost exclusively made up of prosaic declarations like “I’ve never been to that town, but I’ve been through it.” Characters talk endlessly about places they have been or want to go, or situations of no consequence to the action of the film: “My husband saw a coyote over there once. It stayed for a little while, then it went away.” The cardboard MRI machine that fascinated so many viewers with its appearance in the film’s trailer is just one example of completely unconvincing items standing in for high-tech devices. The feeling is reminiscent of Hal Hartley’s approach to action film tropes in Amateur or scientific equipment in No Such Thing, taken to its most absurd logical extreme. In Hartley’s films, he uses an “incompentent” approach to familiar action (a character shooting a pistol dozens of times without reloading, his target taking all those shots without falling to the ground) and shorthand objects to stand in for elaborate props (the flourescent lights waving around a character to “study” him) both for humorous effect and to underline that the films are not about the genre trappings that a viewer expects from a certain type of film. In After Last Season, everything is shorthand including the dialogue, which is actually shorthand for itself. Intentionally or not, in After Last Season writer/director Mark Region has taken apart the language of cinema and broken it down to its constituent parts. It is a “movie” in that it consists of a series of scenes in which actors perform actions and speak dialogue, there are some special effects, and finally the credits roll. Any fiction film presents the viewer with stand-ins for things that actually exist, and the viewer must decide whether or not to accept these things: they are watching actors (who are not actually doctors, students, police, etc.) often in sets (not actual laboratories, school buildings, corporate offices, etc.) interacting with each other and props (not real guns, telepathy machines, etc.). When the viewer watches a film, they enter into an agreement with the filmmaker wherein the viewer agrees to accept a certain level of artifice and the filmmaker agrees to provide it in order to get on with the business of telling their story. After Last Season forces the viewer to ask themselves where the line is drawn past which they do not — or cannot —accept the “reality” of a film. Is it the acting? The props? The special effects? The writing? After Last Season gives the viewer almost nothing on which to suspend their disbelief, instead presenting the barest suggestion of story, characters, props, locations, and actions. It does not meet the viewer halfway on any level. In the case of a film such as Birdemic, the “cult” appeal is easy to understand. Birdemic is a low-budget film modeled on familiar genre tropes. The audience brings their expectations of this type of film (“animals attack,” with specific reference to Hitchcock’s The Birds) and to the best of their ability, the filmmakers provide certain things that attempt to fulfill those expectations. Birdemic is funny at least partially because it attempts to fulfill one of its audience’s primary expectations (attacking birds) with an effect that is so thoroughly unconvincing (stiffly animated digital bird graphics that are crudely composited into the footage of the actors) that there is very little chance the viewer will be able to suspend their disbelief and buy in to the illusion that the characters are being attacked by killer birds. Despite this, whether the audience can buy the killer birds or not, the actors in the film and the film’s writer/director James Nguyen take the concept completely at face value. There is no winking at the audience in Birdemic, which is one of the things about the film that is so endearing and that has contributed to its success. After Last Season certainly doesn’t wink at the audience, but it also feels as though it is purposely defying all of the audience’s expectations. The film’s basic story is reminiscent of Michael Crichton-style techno-thrillers in which a certain technology is used as a plot device. Its lead characters are testing a microchip that allows a user to see a visual representation of the thoughts of another person. The audience brings to the film their expectations of what this might entail and how it may be presented in the film, only to find that the machine displays “simple geometric objects.” This is not an exaggeration. 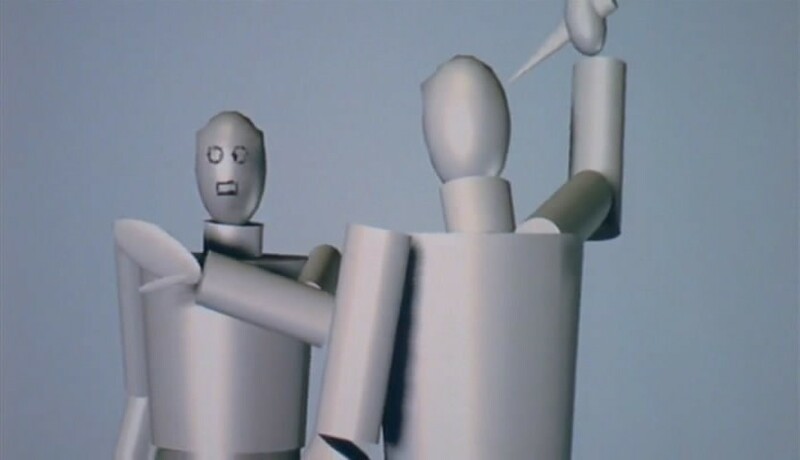 Most of the CG-animated sequences in After Last Season consist of graphics that look primitive even when compared to early computer animations such as Computer Dreams (1988). And where Birdemic’s low-tech killer birds may appear on screen for a few seconds at a time, the CG animation sequences in After Last Season go on for minutes, frequently with little or no sound to accompany the images. Birdemic is clearly supposed to be fun, while After Last Season is so poker-faced it is impossible to tell how the film is supposed to make the audience feel. Almost none of the standard signifiers of “drama,” “comedy,” “science fiction,” or “horror” are present, leaving the viewer completely adrift. A shot from the opening scene of “After Last Season.” DVD screenshot. How did After Last Season end up in theaters across the United States for a week-long run, projected from 35mm prints? The film’s credits only make the circumstances of its theatrical release even more incredible. Negative cutting is credited to Walt Disney Studios Negative Cutting. Kodak provided the motion picture film. An Arriflex 35mm camera was used to shoot it. Prints were produced by Deluxe. The film was presented in Dolby Digital, and even submitted to the MPAA for a PG-13 rating certificate (No. 45146; for reference, No. 45145 was Ninja Assassin). All of this seems even more unbelievable now than it did in 2009, before the widespread changeover to digital projection dictated by the major film studios made striking 35mm prints something of a rarity even for blockbusters. However, it does point to an answer to one of the biggest questions behind the film’s production: How did this movie cost $5 million to produce? That $5 million number was originally stated by Mark Region in the Knox Road interview. Discussion of the film online turned to how the movie shown in the trailer could have possibly cost that much money. There was some speculation that the film may have been an elaborate scam of some sort, but the first hint at where that budget could have gone was that it was in fact shot on 35mm film. Region further explained in the Filmmaker Magazine interview that: “…the budget was $30,000 to $40,000, but to do those special effects and the computer animation, the budget went to ($5 million).” He also mentioned that the $5 million figure included “a few other things — titles, lab costs.” There is no concrete information to confirm that budget, but if Region was hoping to find a distributor for the film it is entirely possible that he was simply exaggerating the cost of his film’s production in order to make it seem more desirable. This is a common tactic among low-budget independent filmmakers looking to sell distribution rights for their films: higher perceived production value means a better price paid for distribution. In fact, from all accounts it appears that Region and his investors closely followed the basic template of traditional independent film production with the intent to create a final product that would have commercial appeal. Even in 2009, it was not entirely out of the question for independent filmmakers to shoot on digital video, but Region made the decision to shoot 35mm film. Even the simplest production shot on 35mm would be exponentially more expensive than a digital video production, but if the intent was to make a movie that looked like a professional motion picture, 35mm film would have been the best choice. Shooting on 16mm or 8mm would have been possible and cheaper, but blow-ups from those formats have a different picture quality than a film sourced directly from 35mm. Additionally, shooting on one of those formats would have required a blowup to 35mm to make prints, a process which can cost tens of thousands of dollars. Region hired union actors who were members of the Screen Actors Guild, meaning they would have had guaranteed minimum salaries for their shooting days. This would add to both the film’s budget and its potential for attracting distributors since the cast was made up of professional actors. Submitting a film to the MPAA for certification is a process that can cost thousands of dollars, but any film that is meant to play in major multiplexes in the United States has a much better chance of doing that if it has an official MPAA rating. This would also make the film more attractive to potential distributors, since a distributor would not have to incur that cost themselves before being able to get the film into theaters. Matthew Andrews (Jason Kulas) in a hallway of the Prorolis Corporation. DVD screenshot. Looking at the technical facts of the film’s production, it follows that Region was attempting to create as professional an independent film as possible, one that could land a distribution deal. It seems that Region did some research to find out how the process of independent production and distribution works, and attempted to fulfill those requirements that would result in a favorable distribution deal to recoup the costs of production paid by himself and his co-producers on the film. Taking into consideration Region’s frustration and apparent perplexion at the way the film was received, it seems very unlikely that After Last Season was an elaborate financial scam. The existence of his previous short film “Medium Waves” provides further evidence that Region was more an aspiring director than a con artist. In fact, the explanation that ultimately makes the most sense is that After Last Season is simply the product of a confident independent filmmaker who convinced producers and supporters that he was fully capable of delivering a film with commercial potential, and who believed he was creating just that. Of course, until Mark Region steps forward with a definitive personal account of his goals and intentions when making After Last Season, its fans are left with nothing but speculation. It is entirely possible that Region will remain quiet, and that the film may never see another theatrical release, or even a reissue of the limited DVD. If that is the case, then After Last Season is one of the ultimate “cult” films not just of this era, but of all time. It is a film that, in the current state of its existence, can only be seen by people who know someone who owns a copy. There is nothing at all to influence the organic growth of its audience, just the copies of the DVD out in the world and the occasional odd writer who feels compelled to dig in to its mystery again, years after most of the world has forgotten about it. 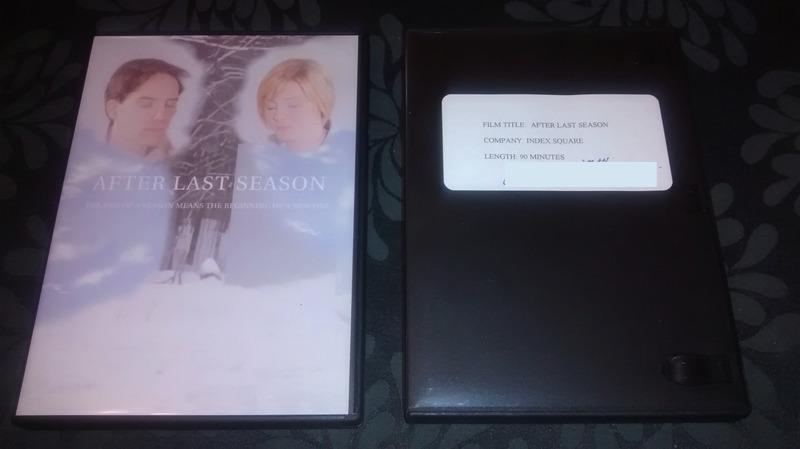 Official version of the “After Last Season” DVD sold by Index Square on the left, DVD screener of the film (edited to remove mailing address) on the right. The screener dvd has “AFTER LAST SEASON” hand-written on it in black marker. Special thanks to Jim Donahue, Jamie Hale, David Lowery, Scott Macaulay, Michael Mohan, Rodney Perkins, Lindsay Robertson, everyone on Metafilter who helped to track down information on the filmmakers and the film’s production, and everyone who has become obsessed with After Last Season enough to share their thoughts and insights with the rest of us.